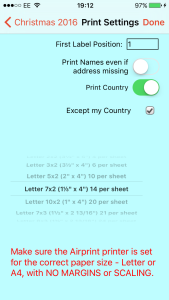 Normally, printing to label sheets will start at the first label i.e. at the top left. 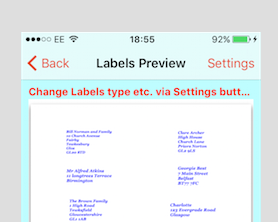 However, if you have already printed to some of the labels in a sheet, it is possible to start printing to the next available label position. The label positions are numbered as shown in the example below. 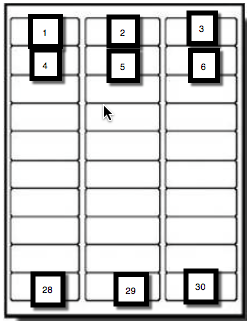 Then tap into the First Label Position box and enter the desired starting position. Hit Done and then Airprint or Email. 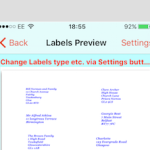 Note: the first position will be stored in the app and used next time. 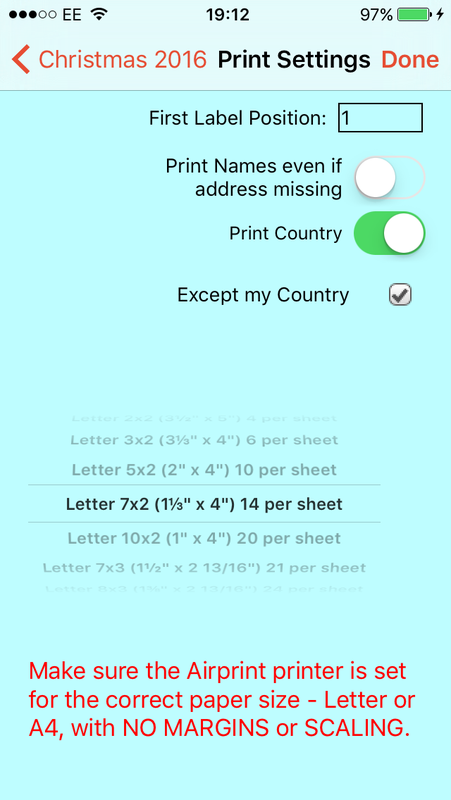 Therefore, remember to put back to position 1 (or wherever required) on the next print run.